A story hit the internet approximately a year ago, and has since been recycled ad nauseum, carrying the title Vatican Very Concerned About 1,500 Year Old Bible Found in Turkey. Not surprisingly, fringe authors and proponents of fringe thought (such as it is) have been gleefully passing this story along as "proof" that Christianity is a fraud. One fringe author (Scotty Roberts), though he fallaciously claims to be an historian and theologian, and has been corrected on the point many times by myself, even claims this Turkish "bible" contains a book "removed by the council of Nicaea". Never mind that the council never discussed the topic of the Biblical canon, but rather met to discuss the issues raised by Arianism, this oft repeated myth is a standard of the fringe underbelly. The book Roberts refers to specifically is the Gospel of Barnabas. Read on to see how uninformed this fringe "theologian and historian" is. So, is there any truth to the claims of the article? I'm certain none of my readers will be surprised that the answer is an emphatic no. Examining the facts we find that this "bible" is purported to contain the Gospel of Barnabas. 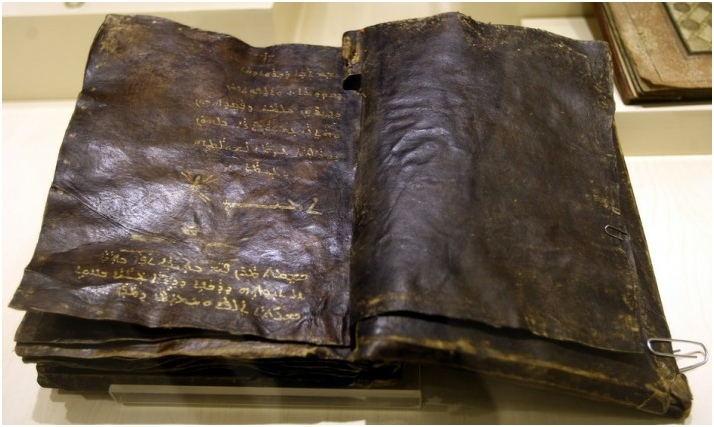 This faked "gospel" is not a new find, and has been known in the Muslim world for a long time.The writing claims the crucifixion never happened, that Jesus predicted the coming of Muhammad, and is, as scholars know, an Islamic forgery dating only to late 16th century Spain. While it does take certain things from the Gnostic writings, even those elements are changed a bit to reflect Islamic thought. While fringe fanatics promote the myth that the Gospel of Barnabas is written in ancient Syriac, it is simply not true. We also have the conspicuous absence of any scholarly reporting on this "discovery" in any reputable media- including journals of theology or Near Eastern studies. While fringe types will- as is their modus operandi- claim a conspiracy by academia to hide the "truth" because of religious zeal, the fact of the matter is, most Near Eastern scholars and religious historians are quite secular. Finds such as the Gospel of Judas (a Gnostic pseudo-gospel) were met with great interest by academia. And yet there is absolute silence on this supposed world shattering text. We have to ask why there is no interest. This means we have roughly 25,000 manuscripts and manuscript fragments of the New Testament books. In addition, we have thousands upon thousands of quotations from these books by the earliest Church Fathers. When we examine closely the differences in the New Testament manuscripts we find that only 1/60th of the manuscripts differ, and these differences are so minor that they do not impact the history of the books, nor their theology in any way. This does not leave room for the argument that the differences in any way impact the reliability of the Gospel accounts." The Vatican isn't worried about this internet hoax, and you shouldn't be either. 1Venetus A, copied in the 10th century, is the oldest fully extant manuscript of the Iliad.